Sometimes China has a lot of unusual things, most of the time those unusual things are to do with fashion. 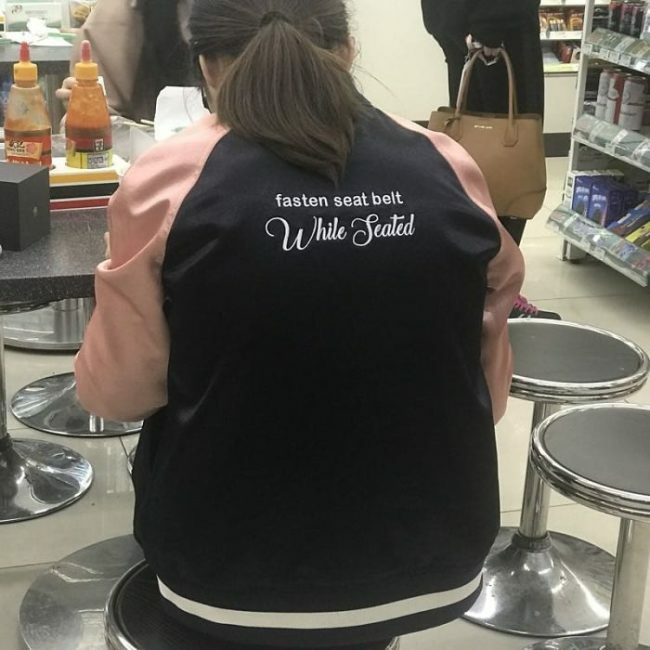 Whether it’s a rough translation from Chinese to English that ends up slightly rude or just random English words that make no sense, these clothing pieces are certainly unique. 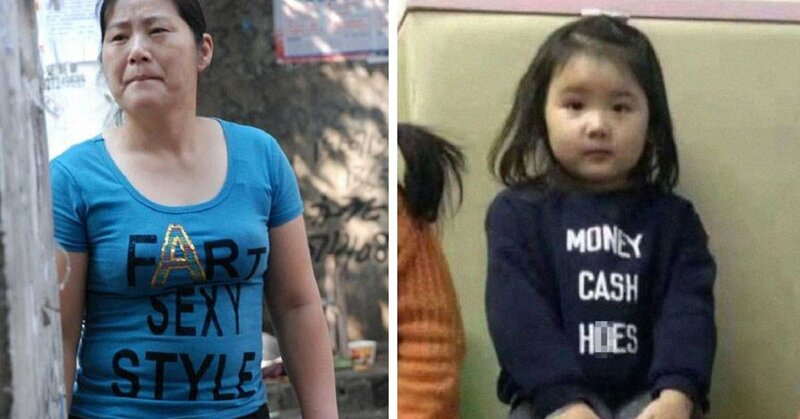 I don’t think China means to be so offensive with its fashion but these are just pure gold. They are basically all amazing memes and I love China for it. This is just incredible. I wonder if people who wear this in China actually know what it means, I sure hope so. 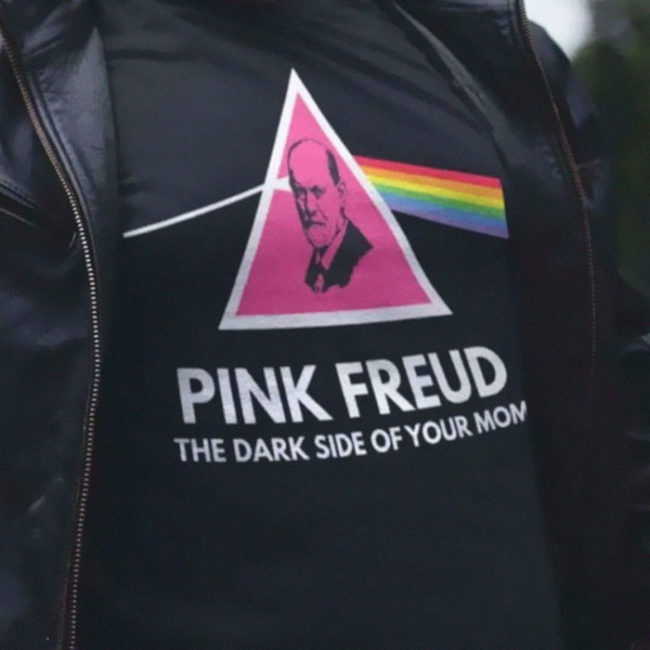 According to Freud, everyone has a dark side, including your mom. At least it’s being truthful. 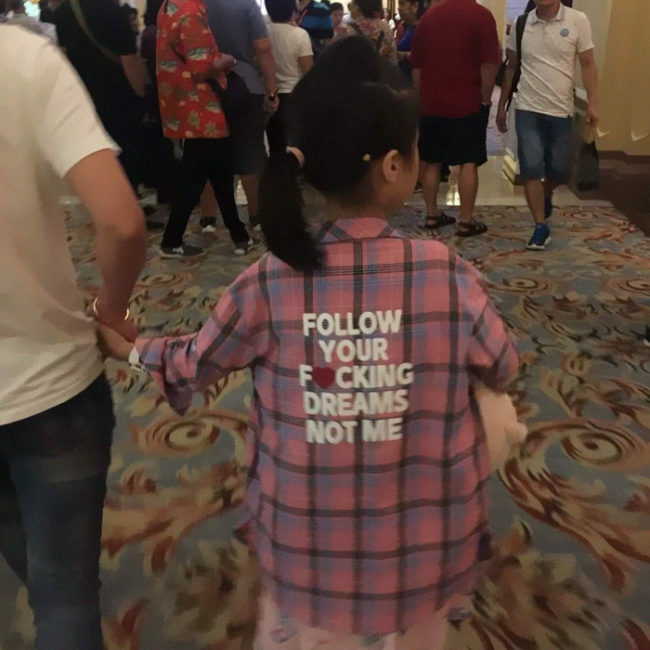 I really don’t think this little girl or her parents actually know what this shirt says which is why this is so hilarious. All I know is that I NEED this shirt. It’s so passive aggressive and I love it. 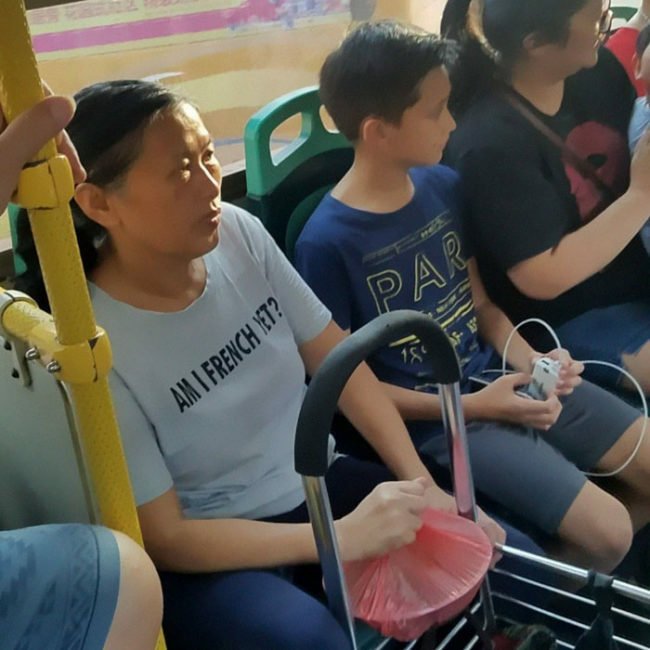 What her shirt says is VERY true. Does this mean that she could be Batman?! 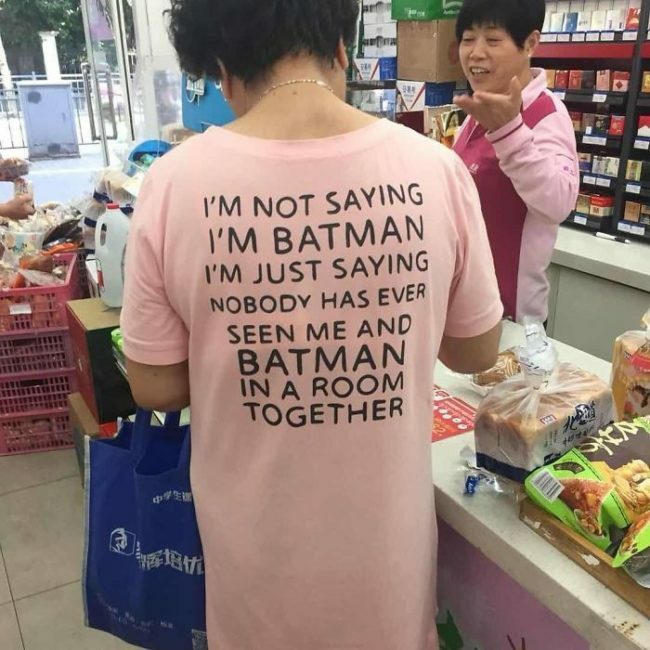 Does Batman go to the store wearing a pink sundress? Clearly. 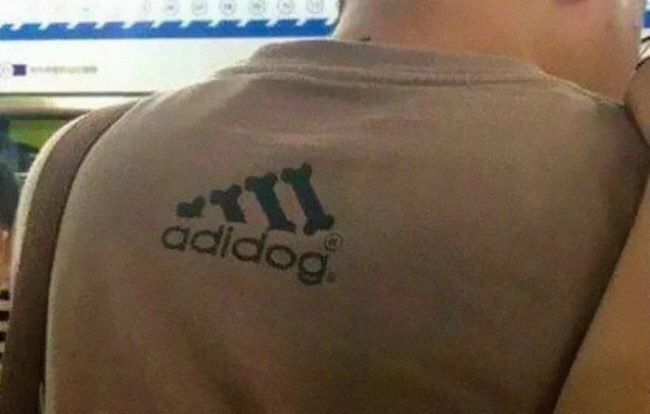 This clothing brand just doesn’t care, they are happy to copy Adidas logo’s any day. I prefer Adidog anyway because…dogs. This little girl knows where it’s at and she really doesn’t care what anyone else thinks. Well, that or she has no idea what her top actually means. I don’t know about you but I have absolutely no idea what this t-shirt is on about but I love it anyway. 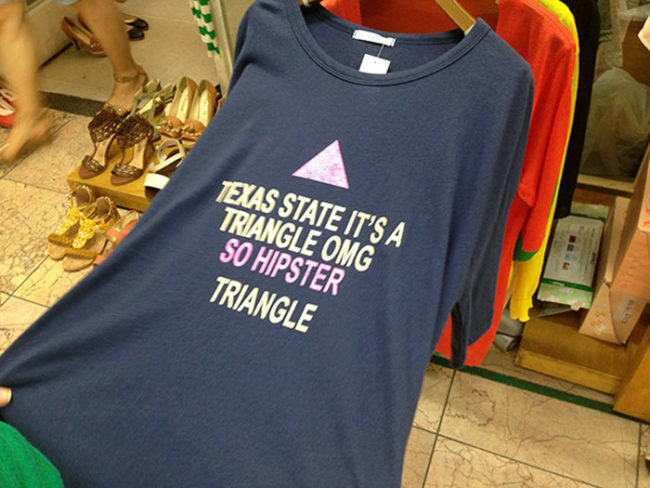 I love how it’s like a meme, “so hipster, such triangle”. 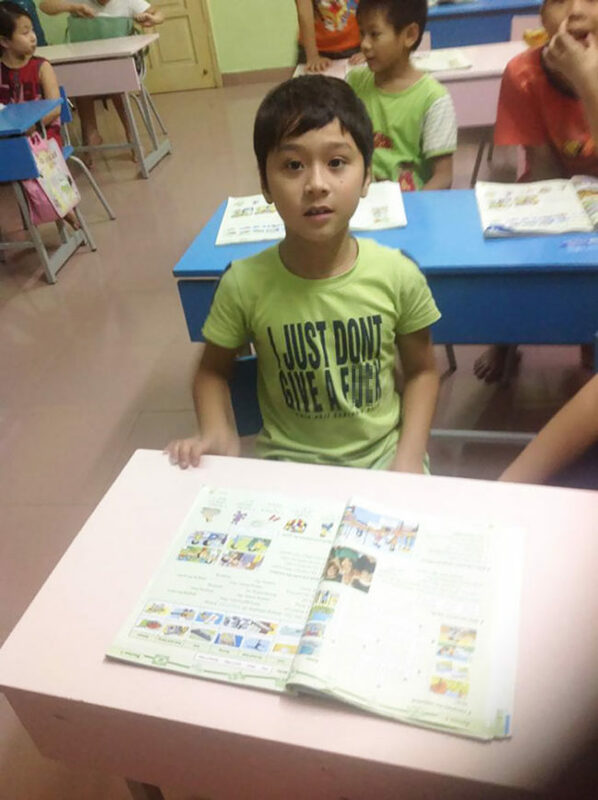 I am very worried if this kid actually is drunk and if he even knows what his shirt actually means. What disturbs me the most is that they make these clothes in children’s sizes, having NO IDEA what they actually mean! 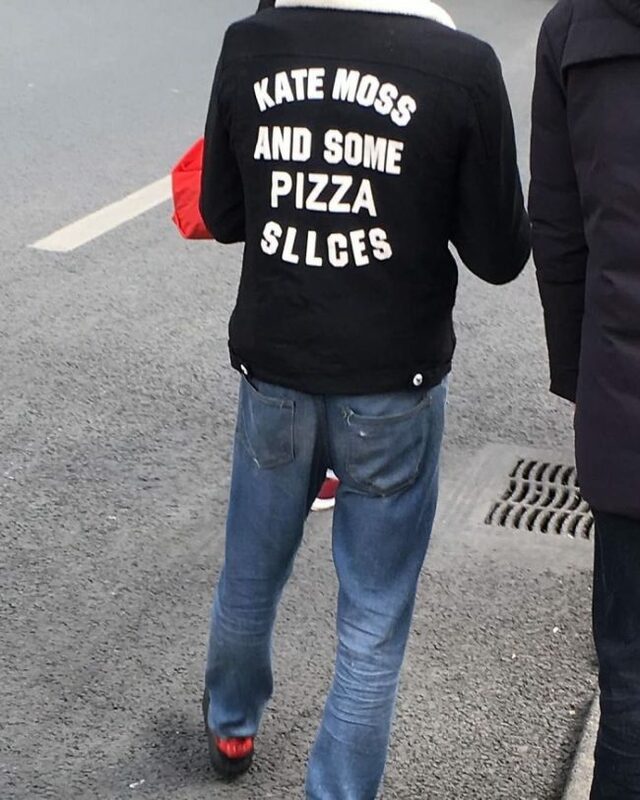 Is this the weirdest writing on clothing I’ve ever seen? Yes. But did it make me feel warm and fuzzy inside? Yes. This is the kindest jacket ever and I just want to give the person wearing it a big hug. 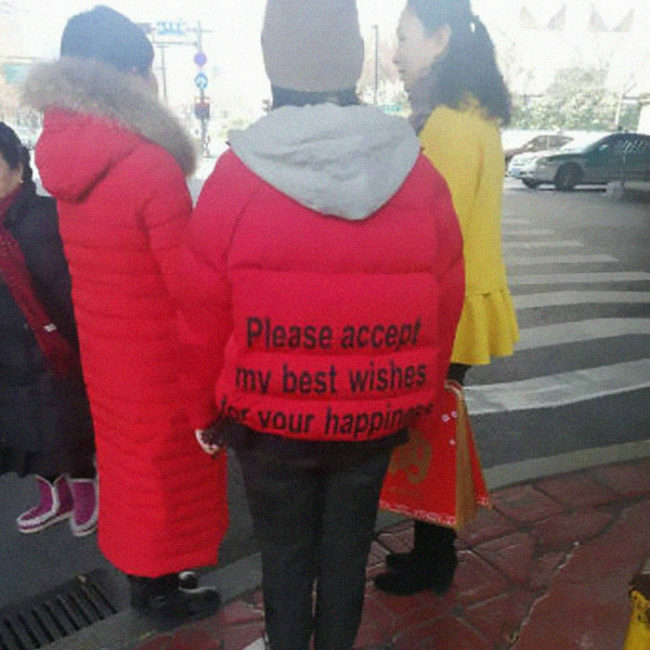 Aww, another friendly and supportive piece of clothing here to brighten my day. 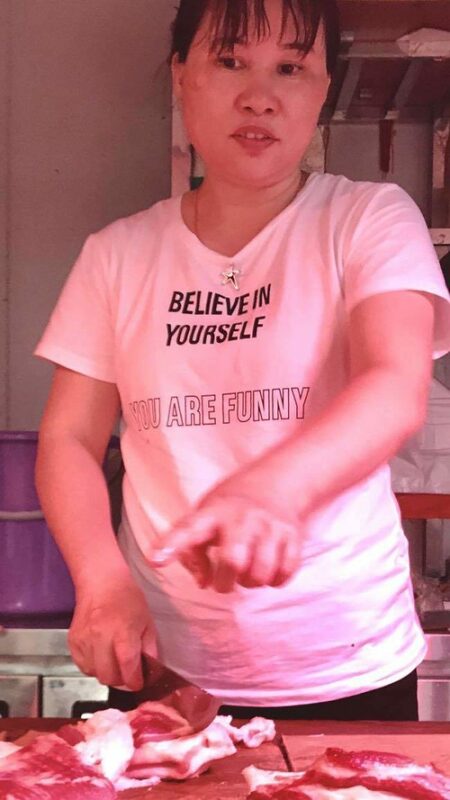 China really do love to build people up with motivational clothing. Although, I’m not sure why no one thinks that they are funny in China for some reason. I’m not sure whether this is meant to be some deep metaphorical quote about the universe or it’s just been lost in translation. 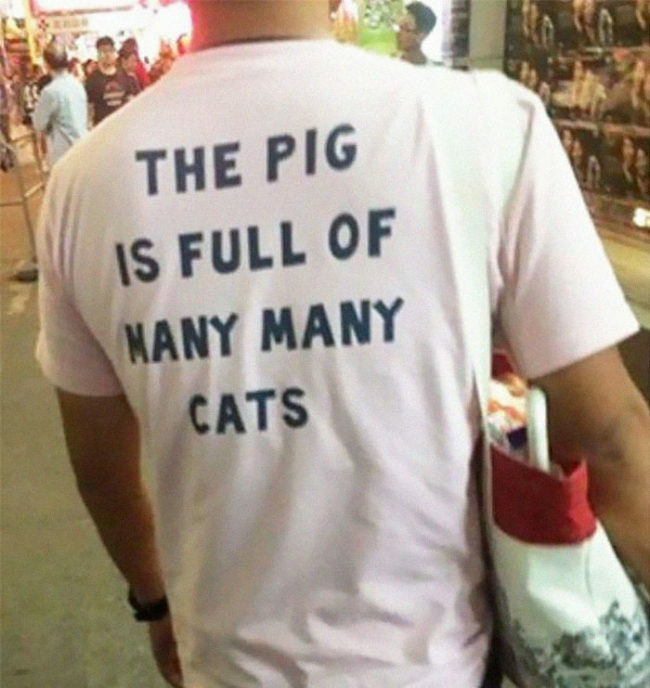 Either way, I want to know why the pig has been eating cats. You know when you do something and you’re just like, “Guys, am I French yet?” Well, this woman spends her entire existence asking many people this very question. Well, lady, I can tell you that YES you are now French! 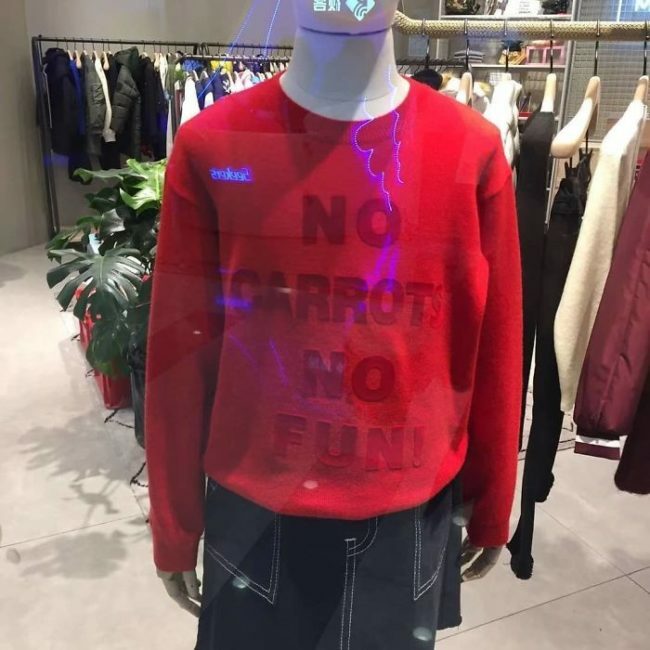 I don’t think I’ve ever met someone whose fun was based on whether there were carrots present or not. If you’re having a birthday party, you better hope you have carrots or this person will just straight up walk out of the door. This lady is clearly an absolute savage. She only has two rules in life. 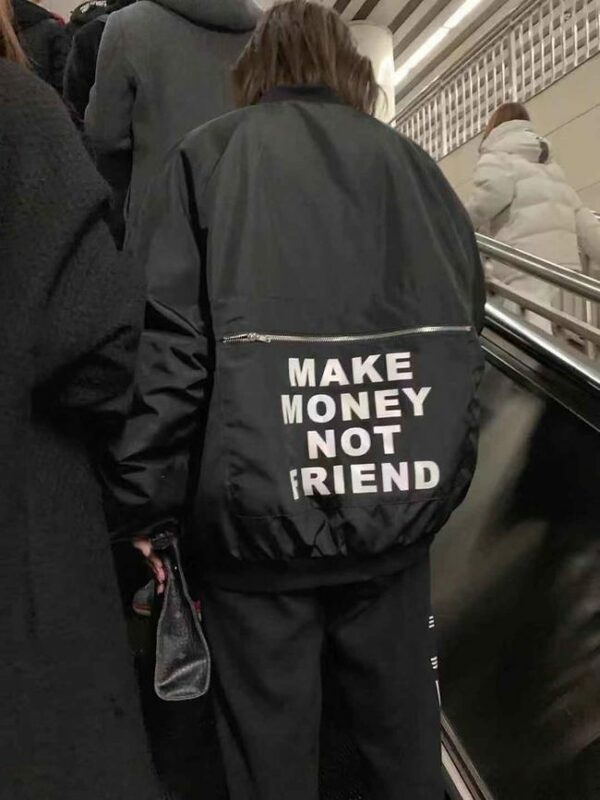 Make a lot of money and make absolutely NO friends. Now, this is deep. The number of people I know that always try to fasten their seat belt stood up…it’s despicable. 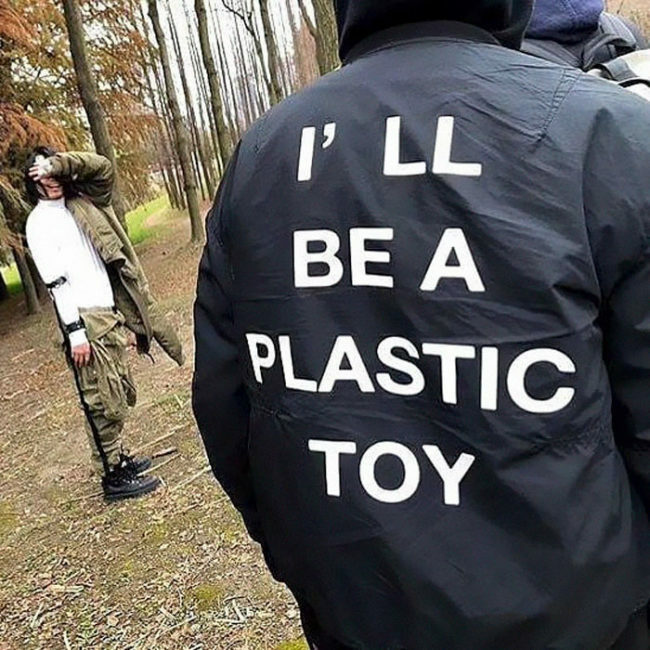 Hopefully, this jacket will teach the masses. 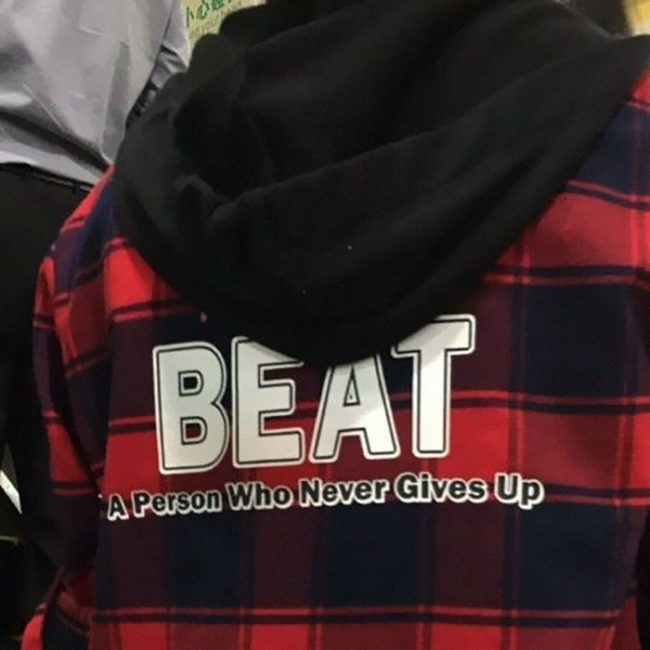 Why does this person want to beat people that don’t give up? Do they beat them until they give up? Or do they have to stop beating them as they STILL won’t give up? I have so many questions and NEED answers! 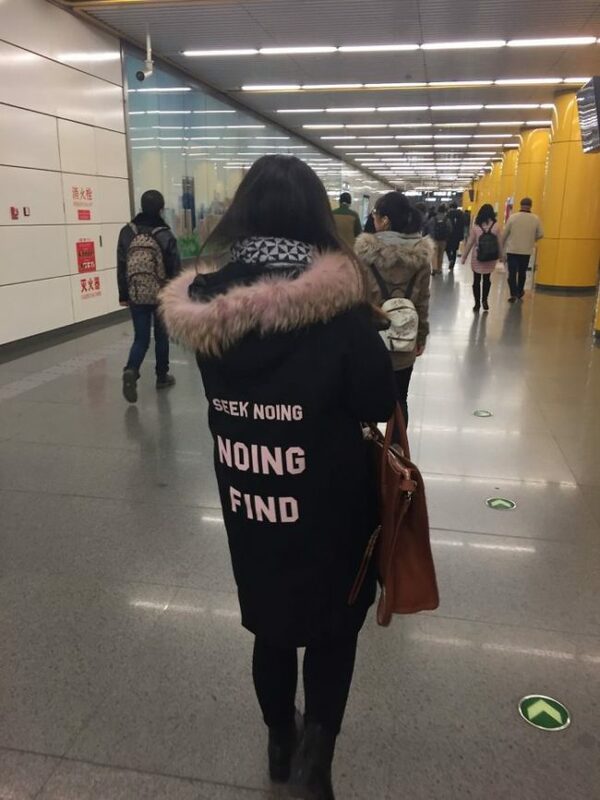 When you seek Noing, you WILL find it. So, what are we all waiting for?! Let’s start seeking Noing, our lives will never be the same again. 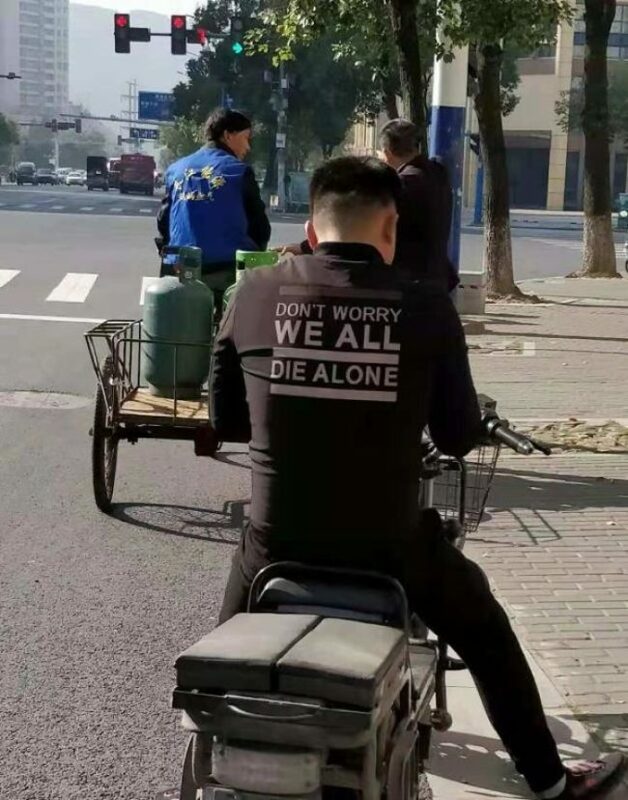 I don’t know about you but I think I need to buy a new wardrobe full of edgy ironic Chinese shirts. Everyone will be so confused and I will be loving it. Would you wear any of these? Let us know in the comments!